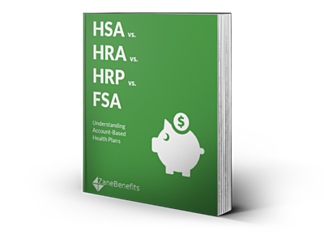 Zane Benefits, which provides small businesses with simple and friendly healthcare solutions, announced today the publication of a new guide "HSA vs. HRA vs. HRP vs. FSA." The easy-to-understand comparison chart helps employers and health insurance professionals understand account-based health plans. According to Zane Benefits, health insurance costs in the U.S. are rising at an exponential rate. As such, employers are adopting account-based health plans (ABHPs) as a strategy to lower the cost of healthcare without reducing coverage for employees. An ABHP is a consumer-directed strategy that pairs a group health insurance plan with a tax-advantaged medical spending account. With a total-replacement ABHP, the medical spending account is offered as the main health benefit plan - instead of a group health insurance plan. Employers, health insurance professionals, and CPAs are invited to download the new guide to understand the similarities and differences of HSAs, HRAs, HRPs, and FSAs.